It’s been about 5 or 6 yrs. since I’ve been in a classroom, which means I am no longer bound to hmwk., papers, or lectures. Truth be told, I miss it so much my heart and brain- or better yet, my mind babies, often sit at a table in the back of my soul and cry into a puddle of whiskey and congealed dreams and tears. (The glasses for the whiskey were broken in a fit of false hope and melancholy many moons ago). Given my plight, I find myself unable to read “for fun” as the bookish call it; I find myself as a knight, with sword drawn, ready to slay a dragon. I am armed with a pencil and post its or a journal- ready to transcribe my conversations with my book- friends! I try to read without formally conversing with my book confidants but I fail miserably! Tonight I ended up swapping battle scars with W. H. Auden’s Lectures on Shakespeare, in particular- the seemingly political but cacophony of sound that is Coriolanus. I won’t bore you with the details but hopefully the lecture and I will be friends in the end. This despite the fact I will leave Auden’s Lectures to do battle with Shakespeare’s Coriolanus himself. And then on to the land of Asimov’s Guide to Shakespeare… in any case, the journey will have me scaling an Ivory Tower when in fact- “there is no Ivory Tower,” or so said the keeper of keys and wisdom in graduate school. i am a lone read, standing sassy amongst the angst w/in & souls that’ve lost their ch’i! 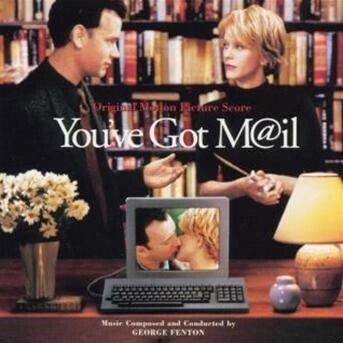 Currently I’m watching one of my favorite movies, You’ve Got Mail. For me it’s one of those movies that are like warm cookies and milk on a cold day- it makes me feel all warm and fuzzy inside and typically I don’t like romantic comedies. One of my favorite parts are when the two main characters talk about the idea of bouquets of sharpened pencils b/c it’s fall and it brings about the feel to buy school supplies. I totally get this notion; I always get excited around the start of fall but then I get all mopey when I remind myself that I have no need for such items given that I am no longer a student- not even a weary but zazzy college student, le sigh. Now I must go back to the start of my post in which I talk about the characters of the film and their want to purchase school supplies in the fall. Now despite the fact I live in Texas and that takes away from it being cold or even cool enough to fully put me in fall/school supply mood, I would love it if someone were to take that idea of school supply shopping and bouquet of sharpened pencils, and applied it to say Christmas, Valentine’s Day or my birthday. I would absolutely LOVE IT if someone I knew put together an academic gift pack; my suggestions would be as follows: anything Shakespeare oriented- minus things like bobble heads (they irk me for some reason); copies of books- classics I have yet to own; ink for my fountain pen, wax to seal my letters, sassy paper to write letters, unique (w/reg. to ink or appearance) pens or pencils, neat bookmarks, book repair kit, a really old edition of a book I adore, bookends, and the list goes on from there, lol. I think what it also boils down to is that the film is a holiday movie for me, given it takes place during Thanksgiving and Christmas. Other movies that give me that holiday feel are: Scent of a Woman, Trading Places, A Christmas Story, and A Charlie Brown Christmas, The Godfather. These films just give me this snuggle up in blanket and enjoy the crisp good vibes of the season- yeah I’m a sucker for twinkling lights, bright shiny things, and warm goodies cooking in the kitchen as well (hopefully they’re done so successfully and with love). I like that the romance takes place around this and that it takes place while the two characters are fighting one another on the business front; love is everywhere I suppose though at present I’m not so prone to readily admit that or fully embrace that as I once did so many moons ago. I’m still ripe from a break up. It’s why I have fully embraced word press and taken it on as a project and goal for myself to write online each day and complete poems for an October writing project centered around the month of October and each day leading up to Halloween.